The ProMMAnow.com staff has come together once again to give you their thoughts and predictions for UFC 150 taking place Saturday night in Denver. 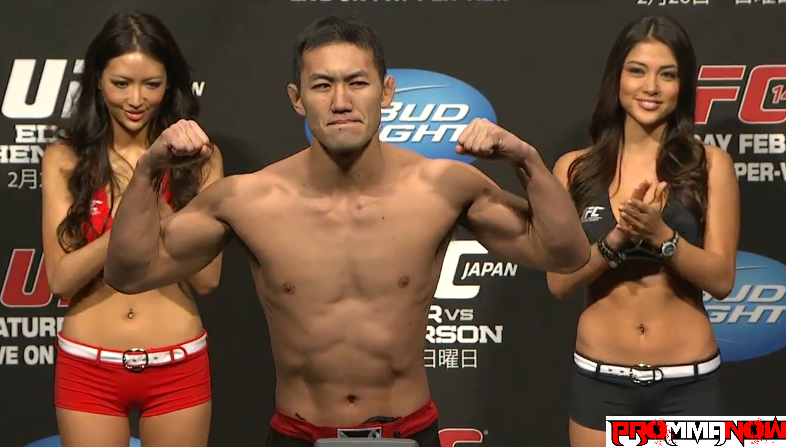 Lightweight champ Benson Henderson makes his first title defense in a rematch against Frankie Edgar in the main event. 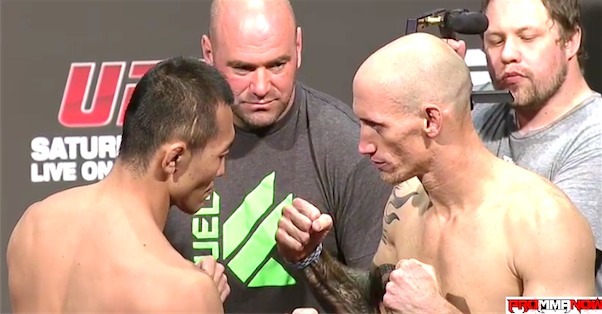 We take a look at the UFC 150 middleweight fight between former number one contender Yushin Okami as he’s set to take on Buddy Roberts in Denver, Colorado, on Saturday night. 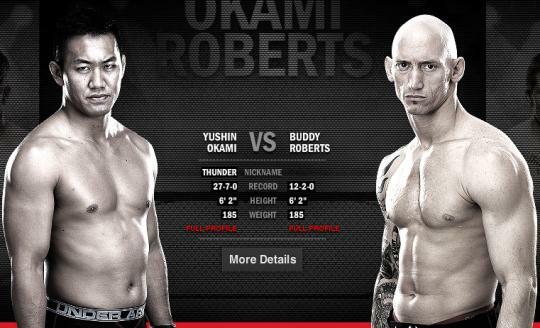 Due to fighter injuries a new bout has been created for UFC 150 as Japanese middleweight Yushin Okami (26-7) now faces Jackson’s MMA fighter Buddy Roberts (12-2). Okami was originally slated to face Rousimar Palhares and Roberts was scheduled to fight Chris Camozzi, but due to injuries both Palhares and Camozzi have been forced to withdraw. The Ultimate Fighting Championship promotion continues to add fights to their UFC 150 card with TUF veteran Chris Camozzi (17-5) meeting Buddy Roberts (12-2) in a middleweight bout on August 11 at Denver’s Pepsi Center. Last night, Sean “The Destroyer” Loeffler was supposed to make his long-awaited Octagon debut against Buddy Roberts at “UFC on Fuel TV 1.” Unfortunately, Loeffler suffered an ankle injury while warming up and the doctor would not clear him to compete in the fight. After fighting for more than a decade as a professional, Sean Loeffler will make his UFC debut against Jackson MMA’s Buddy Roberts at UFC on Fuel TV on Wednesday. 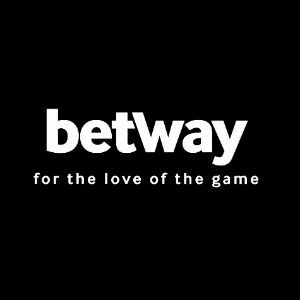 With fighters such as Anderson Silva, Chael Sonnen, Michael Bisping, Mark Munoz, and Vitor Belfort populating the UFC middleweight division, there is no shortage of colorful personalities and exciting competitors representing the 185-pound weight class in the Octagon. 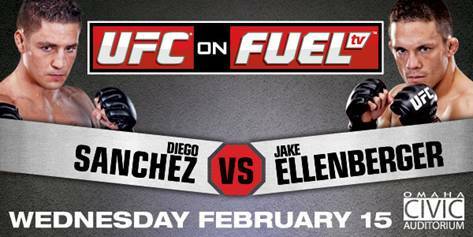 The UFC had added two additional fights to the UFC on FUEL TV 1 event that will take place on February 15 in Omaha, Nebraska. Two newcomers will square off when Anton Kuivanen meets Justin Salas in a lightweight bout. 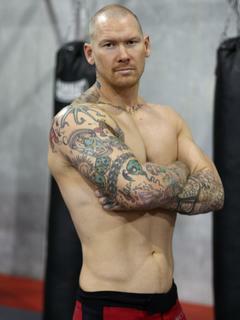 Also, UFC newcomer Sean Loeffler will square off against Buddy Roberts in a middleweight bout.